The Spanish political crisis is advancing slowly but inexorably. In the last five or six months we have witnessed a series of events that have exacerbated the process of decomposition: the turbulence produced by the European elections, the succession to the throne, the most serious corruption scandals to surface for generations, and the conflict between the central government and Catalonia. The right-wing government of [Prime Minister] Mariano Rajoy has sought relief in macroeceonomic data, but the optimism expressed is groundless: no figures are available to show a solid recovery, with the exception of the fall in unemployment, which is explicable on the basis of a seasonally favourable situation in the services sector. The period to come will be very difficult for the government, even decisive in different areas of conflict. Regarding the burning question of the moment, the Catalan independence referendum, in January 2013 the Catalan parliament had approved a declaration of sovereignty. The government in Madrid appealed against this and the act was suspended by the Constitutional Court, the supreme judicial authority in the country. Then, this past September, the Catalan government of Artur Mas passed a so-called “consultation decree” that was meant to be the legal basis of the referendum on the relationship between Catalonia and the rest of the Spanish state. The very day on which he signed the decree for the holding of the referendum, Catalonia President Artur Mas went on Catalan public television to assert that he felt dutybound to respect the Spanish and Catalan legal framework, but that he was certain Madrid would oppose the move; he pleaded for the faith of the people, with assurances that, with a bit of ingenuity, the Catalan people would be able to vote on its destiny. 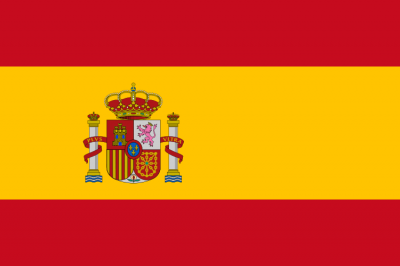 In a matter of hours, the Spanish council of ministers appealed for the quashing of the decree. The next day the Constitutional Court suspended the decree. Artur Mas caved in and decided to comply with the decision of the Court. The pro-independence political bloc fell into a state of disarray for several days. Pessimism got hold of the partisans of independence, who had earlier placed their faith in the unity of the parties so as to overcome the decision of the court. This was testimony to the extent of improvization in the strategy of the nationalist parties. The pro-independence left called for disobedience, demanding that the referendum be held as stipulated earlier. But the resolve did not last longer than several days. After a few days of deliberation, an agreement was reached. Mas announced that a “process of citizens’ participation” would be put in place, with the same question being asked as before. This “audacious” act reduced the level of involvement of the official institutions of Catalonia, with the civil servants taking part in the preparations only in the guise of volunteers, no official decree forthcoming, and the electoral roll not being used. The aim was to avoid a new decision of suspension being handed down by the court. Mas explained that although he believed sufficient democratic guarantees were in place, this new measure would produce its full impact only with the holding of subsequent elections, which, if they resulted in the victory of pro-independence parties, could be considered to be in the nature of a plebiscite on secession. Dissatisfaction with this decision gripped the majority of the movement, which, nonetheless, ultimately deferred to Mas’ choice. The moment of breaking with the legal framework of the Spanish state had been postponed. A veritable referendum for self-determination being ruled out, even a non-binding vote being foregone, November 9th came to be regarded as no more than a preliminary step in the direction of a unilateral declaration of independence that would be proclaimed by a future Catalan parliament with a pro-independence majority. Despite all the precautions taken by Mas, the government of Rajoy has once again appealed for suspension. Everything indicates that the Constitutional Court will find the appeal admissible and will reach a decision of suspension as a precautionary measure. Whatever the decision of the court, Sunday November 9th should be turned into a day to defend the right to self-determination. The pro-independence left has linked its support for independence to the slogan “para que todo cambie” (so as to change everything). To be coherent, it needs to kick off an autonomous campaign that mobilizes workers and the youth around an anti-capitalist program. CiU (Convergence and Unity, Mas’ party) has implemented the same measures as the Partido Popular, the right-wing party that controls the central government in Madrid. Mas has not only made “cuts” (reductions in taxation that restrict public spending in the areas of education, health and social services). He has privatized. He has repressed protest movements. He has kept silent on cases of corruption in the ranks of his party. The left will find itself disarmed if it does not grasp the true nature of the political situation and the correct policy to pursue. The problems do not occur because “Espanya ens roba” (Spain robs us), as some sectors of the nationalist movement would have us believe. A consistent anti-capitalist politics cannot restrict itself to following in the footsteps of Mas. It needs to approach the challenges of the present moment in class terms if it is not to lose from sight the character of the forces that lead the process unfolding. The left needs to organize in working-class neighborhoods, within immigrant communities, in the ranks of the fighting youth, among workers who do not feel they belong to the nationalist tendency and are exposed to the influence of reactionary parties opposed to self-determination. The left needs to put forth a project of its own that breaks with the monarchic state and the European Union and reclaims an anti-capitalist way out of the crisis. It has to establish links to the other peoples that live within the Spanish state, the only way to reach victory. In the rest of the Spanish state, one observes a certain scepticism and a shameful passiveness. The fact that the Catalan right now finds itself at the head of the process serves as an excuse for the inaction. Making declarations, inside or outside parliament, about the right of Catalans to vote will not do. More focused on selecting candidates for the coming local and regional elections, the left has refrained from taking steps to build a movement that supports the unconditional right of Catalans to self-determination and that stands for the constitution of a Catalan Republic that decides freely what kind of relation it wishes to entertain with the other peoples of the Spanish State, a movement that links national freedom to the struggle against the Monarchy, against the reimbursement of the debt, wielding a program that attends to the basic needs of the working-class and the popular strata that have been struck by the economic crisis. The urgent need is to bring workers together around this program. The left should shake off its lethargy and build a unitary movement on this basis. An authentic process of self-determination requires the raising by the working-class movement, the youth and the Spanish left of a banner that proclaims class independence and the free union of republics. Pedro Marlez is an independent writer living in Barcelona. He is a former union representative and activist in the unemployed movement.